Fireworks? Check. Barbecue grill? Check. Maddyloo Fourth of July hair ties? Check. 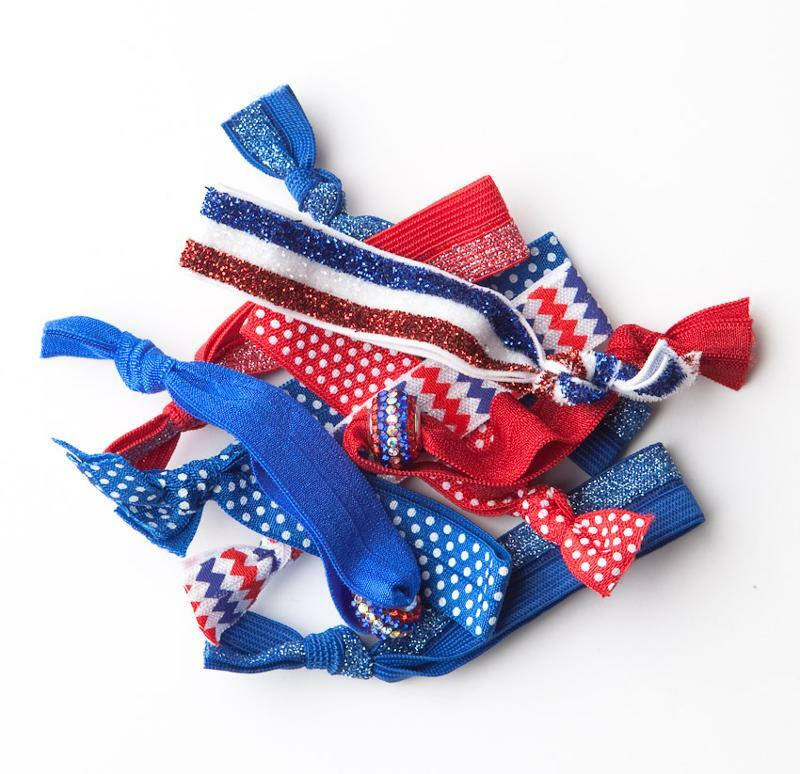 Show your American spirit with this revolutionary Fourth of July collection featuring hair ties in polka dots, stripes, zig zags, dazzling glitter and rhinestone donut beads-–all in patriotic red, white, and blue to help create a gorgeous ‘do and show your allegiance to looking chic. Choose a design that complements your personal style and show off your Independence. The best part: Maddyloo no crease hair ties don’t leave a dent in your hair so you can get from the office to the Fourth of July barbecue without having to redo your ‘do. Maddyloo no crease hair ties double as fashionable bracelets too--they’re a great way to accessorize your look for the nation’s birthday bash. Go to http://www.maddyloo.com for more details. 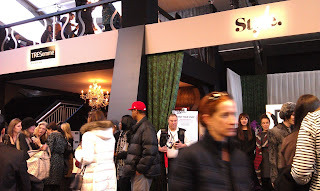 Braving the crowds at New York Fashion Week, Fall/Winter 2013, inside the tent at Lincoln Center. 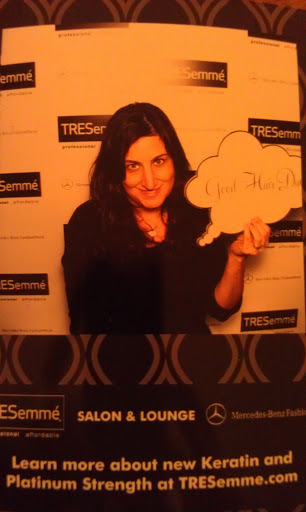 Sharing a Good Hair Day Moment with fashion week partner in crime, Susan Redstone. 'Tis the season...to get back to the gym and make that New Year's resolution happen. But who says you can't look great doing so? Edward Tricomi, of Warren-Tricomi Salons shared a really fun tip for maintaining your blowout after a workout: Cut up a pair of black, opaque stockings and turn them into a make-shift headband and then use the remaining pieces to tie your hair into a ponytail. The material doesn’t leave indentation marks and absorbs perspiration at the hairline. Use theTouchBack Plus System which deposits a bit of color back into you hair and delivers high shine. Lumene’s Sensitive Touch Gentle Cleansing Wipes another gym bag must-have to remove make-up before a workout and cool down afterward.